The tenth day of the holy celebrations of Navratri is known as Vijayadashami or Dussehra (Dasara). The festival marks the triumph of good over evil and is celebrated on the tenth day of the Ashwin month as per the Hindu calendar. It signifies the end of Durga Puja in West Bengal and other eastern and northeastern states of India and celebrates the victory of Goddess Durga over Mahishasura, the devil king. In the northern and southern states, the festival signifies the victory of Lord Ram over Ravana, who abducted Goddess Sita, the wife of Lord Rama. Lord Rama along with his brother Laxman and disciple Hanuman went to Sri Lanka to save her wife and killed the evil in Ravana, This is how the story of the triumph of good over evil is placed in the mythology for years. Indians celebrate this festival as one of the most auspicious days of the year and it marks the beginning of a new year leaving behind all that was evil. As part of Dussehra celebrations, enormous effigies of Ravana along with that of his brothers Meghanada and Kumbakaran, are burnt, signifying Ram’s victory over Ravana. Celebrations also include organizing Ramlila performances which involves people enacting the life and glory of Lord Ram and his life through short plays. 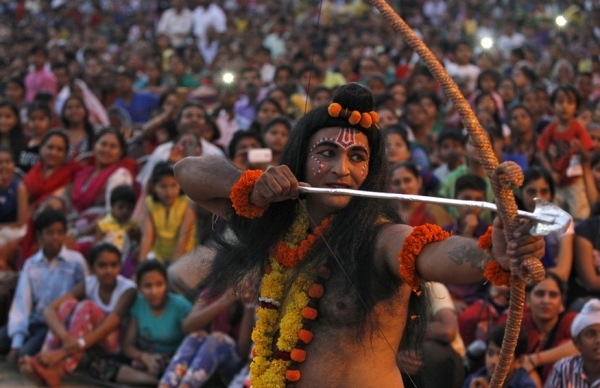 While in cities like Varanasi, the entire life of Ram is enacted by artists every evening for the entire month. Ramlila is a grand event here in Varanasi. It dates back to 1830 when it was first performed by Maharaja Udit Narayan Singh and Kashi Naresh under the guidance of Pandit Laxmi Narayan Pandey's (current vyas ji of Ramlila of Ramnagar) ancestors. It has been 235 glorious years since the people have been following this tradition here. Every scene of Ramlila is enacted in a different location over a month’s period. Massive crowd of more than 10,000 people come from all parts of the world to watch this grand Ramlila. However, this year’s Ramlila was interrupted due to the sudden illness of the characters playing Ram & Laxman. Ayodhya is the birth place of Lord Rama and the place from where Ramlila begins. It is an all new experience to watch the magnificent enactment of Ramlila here. There are no religious barriers here in Ayodhya; even the Muslims come forward to participate in Ramlila. Sadhus and people from all over the country come here to be a part of the Ramlila celebrations. But a lot of Ramlila groups are unable to perform due to lack of funds. The Ramlila is conducted by the Shriramlila samiti every year. 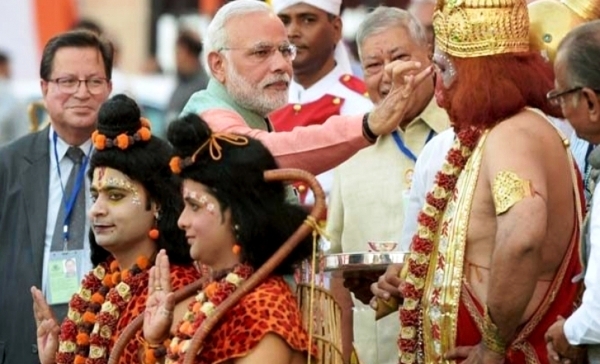 But what makes it special this year is that PM Modi is going to be the guest for Aishbagh Ramlila. What is unique about this troupe is that some of its members have been performing Ramlila since their childhood. A team of 50 Bengali artists will bring Ramlila live on stage this year. According to a 2008 UNESCO report, the most presentable Ramlila are those of Almora, Satna and Madhubani. The Almora or Kumaon style of Ramlila was developed by Uday Shankar during his stay in Almora. This is the musical form of Ramlila developed in a theatrical style. After Uday Shankar the tradition has been carried forward by Mohan Upreti and Brijendra Lal Sah, of Almora. Ramlila is performed even in Thailand. There are artists from Thailand itself that perform Ramlila every year. Here in Thailand, Ram and Lakshman are called Phra Ram and Phra Lak respectively. 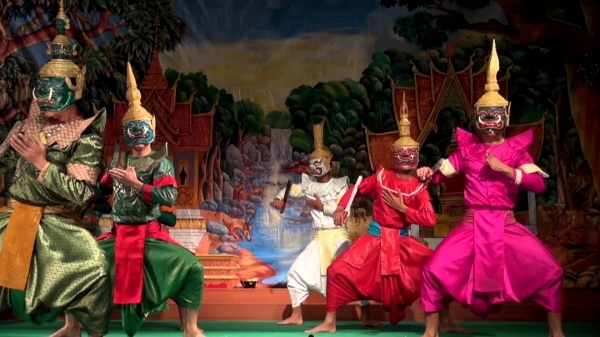 Thailand has adapted its own national epic of the Lao people from Ramayana. 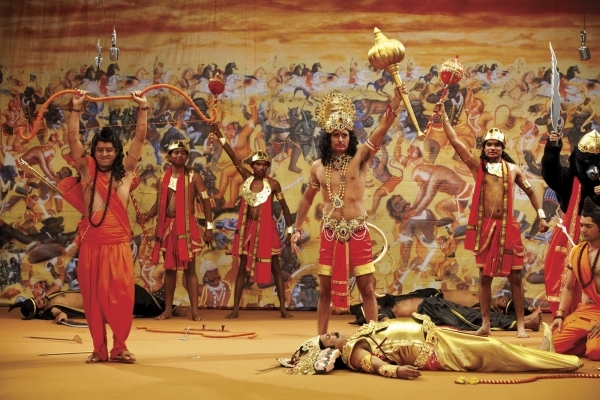 The story, however, is different but has some similar elements of Ramlila.